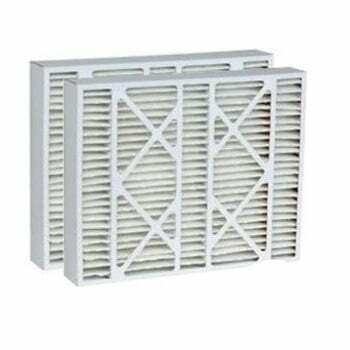 The Honeywell FC100A1037 replacement high efficiency air filter can be used in all compatible size air ducts and Honeywell air cleaners requiring a 20"x25"x5" filter. 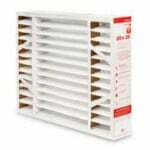 This Honeywell air filter fits Honeywell F100 and F200 air cleaners, and can also be used as an Aprilaire 2200 filter. The MERV 11 rating efficiently reduces pollen, dust, pet dander, mold spores, dust mites, and other allergens from your indoor air. Removing these airborne particles can help improve allergies and alleviate sinus irritation that can cause watery eyes, itchy throat, coughing, sneezing, and other issues. Aside from the health benefits, regularly changing this Honeywell air filter will also extend the life of your HVAC system by making it work more efficiently. 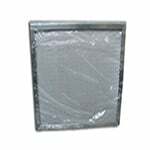 Actual Dimensions: 20" x 25" x 3-3/4"
Note: Due to manufacturing variances the size of this Honeywell air filter replacement is often about 1/4 inch to 1/2 inch larger on each side than the official dimensions of 20"x25"x4-3/8". 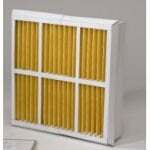 The Filters Fast Honeywell FC100A1037 Compatible 20x25x5 MERV 11 Air Filter can be used as an upgrade for Honeywell part number FC100A1037. Upgrade your Honeywell Media Filter today and get a better filter for the same price as the original manufacturer's brand! 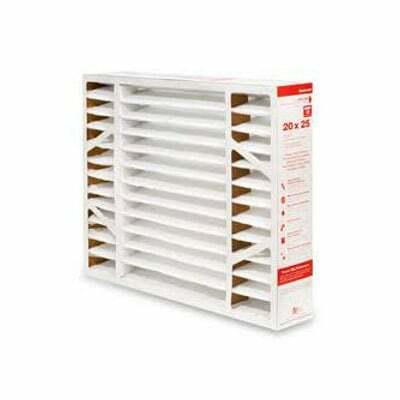 The Filters Fast Compatible 20x25x5 Air Filter can be used in all Honeywell Cleaners that require a 20 inch x 25 inch x 5 inch media filter cartridge, including Honeywell FC20OE1037. The Honeywell FC100A1037 Compatible furnace filter features a MERV 11 rating, which is an upgrade in efficiency from the Merv 10 Honeywell. The Merv 11 rating also means this filter effectively reduces pollen, dust, pet dander, mold spores, dust mites and other allergens from your indoor air. Removing these airborne particles can help improve allergies and alleviate sinus irritation that can cause watery eyes, itchy throat, coughing, and sneezing. Aside from the health benefits, having a Filters Fast Air Filter in your home will also extend the life of your heating and cooling system by making it work more efficiently. Price is for two furnace filters. Actual size of this air filter measures 19 7/8 X 24 11/16 X 4 1/4. Please ensure this filter will fit your application before ordering.